Part of our Eastern Europe trip was a stop at Dachau Concentration Camp which is located in Munich Germany. I came here without much knowledge about the place and what I knew about Hitler beforehand was pretty basic. Once we left, I had a greater understanding of what happened and the importance of Germany keeping this site as both a memorial and a place where people can come and learn about what happened in the past so that hopefully it does not repeat itself in the future. Dachau Concentration Camp open daily from 9:00am - 5:00pm and is located in Munich, Germany, and you can get here by taking the S2 train to Dachau station and then take the 726 to Dachau, it takes about 15 minutes by bus. There is paid parking available if you drive, however, there is also free street parking if you luck out. Map of known concentration camps. When we came, we came for the English guided tour which happens every day at 11:00am and 1:00pm and lasts roughly 2.5 hours long covering the entire site at the cost of 3 € when we went in 2015. The guide that we had was great and I would say that it was well worth the cost since we actually got a person who studied history and was able to answer all the questions that we had. He walks around and talks about all the sites, provides pictures of things that happened here and overall, I thought it was a very good guided tour and well worth the time and cost if you have the time (I actually think they don't charge enough based on how well done it was). 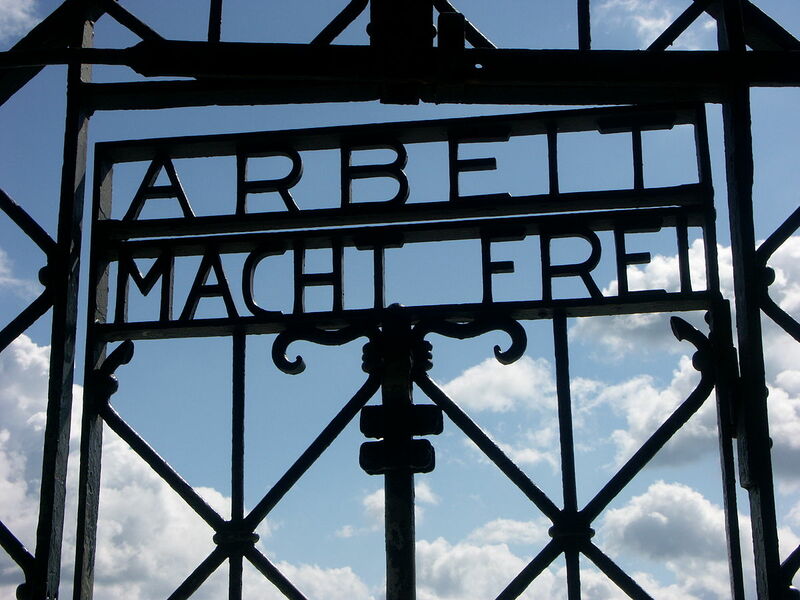 Dachau was the first concentration camp built back in March 22, 1933 by Adolf Hitler. It was meant to keep political prisoners and during its 12 year existence, it housed over 200,000 people and 41,500 of them were murdered here before American troops liberated the site in April 29, 1945. After the war, the site was actually used to hold the Nazi soldiers who were waiting for trial between 1945 and 1948. After 1948, it was used to house hundreds of thousands of Germans who were expelled from eastern Europe until they were resettled. It was also used as a United States military base until 1960 when it was closed. In 1965, at the request of survivors, various memorials were installed here and exists today as a place to reflect on what happened in the past. The words on the main gate 'arbeit macht frei' which means 'work will make you free'. Which is odd, since the prisoners were never set free until they were liberated. 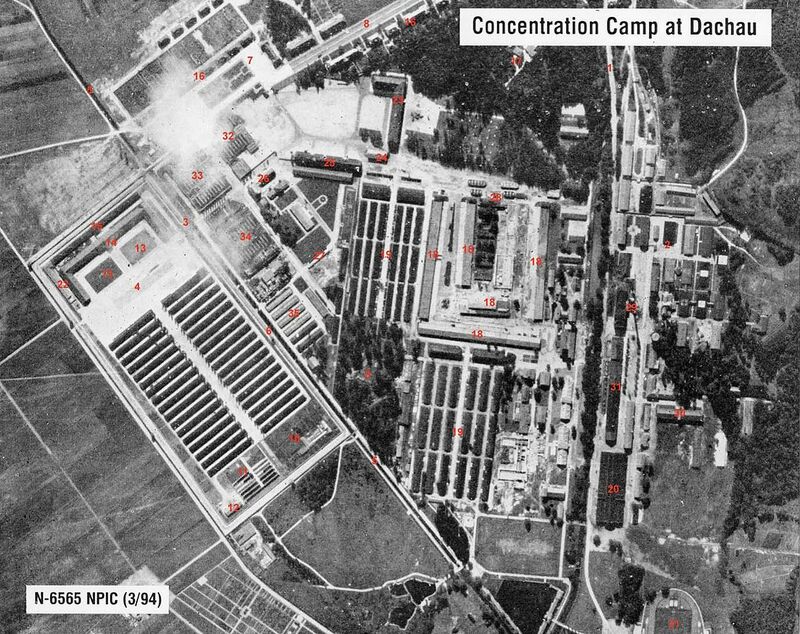 What remains today is just the area for the concentration camp, Dachau in the past actually consisted of a training school for Nazi soldiers which included barracks, factories and other facilities which was roughly 3 times the size of Dachau you see today. From wikipedia, the section on the left is Dachau today.